Do you want chocolate? Do you want weeds? Well… why not create a recipe for some awesome chocolate weed! I’d like to start by saying that fortunately this recipe does not involve making chocolate form scratch. 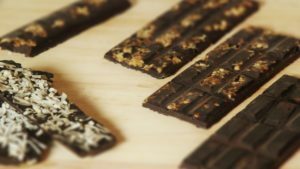 This is a very simple weed chocolate recipe and enables you to make your favourite chocolate and favourite marijuana strain into a single tasty ganja snack. 1. Grind all the weed up. 2. Boil the saucepan of water on the stove and leave on a low light to keep it hot. 3. Place the glass bowl on top of the saucepan and put your favourite chocolate inside it. 4. 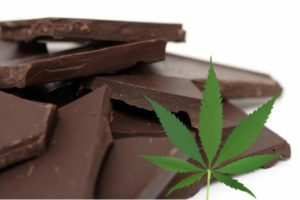 Once the chocolate begins to melt, add the ground up marijuana and stir it until the weed is well mixed into the chocolate. 5. Using oven gloves (the glass bowl is hot) lift the bowl and pour the contents into an ice cube tray to shape the chocolate. 6. Refrigerate the chocolate until it is solid. 7. Store in a cool dry place in tin foil. 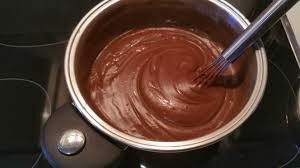 This is such a simple recipe, do not try and take short cuts like microwaving or boiling the chocolate directly on the stove otherwise it will burn.